I don't think there's any point posting music if it's not at decent quality. 192 kbps mp3 files sound OK when listening on your computer, but for home listening the sound isn't great. 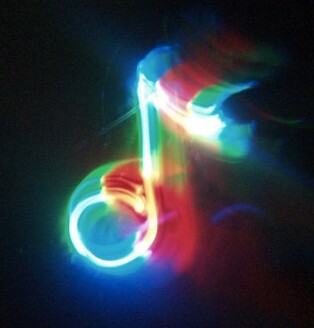 Part of the idea behind this blog is rediscovering lost music, so for me quality is important. Firstly - and a lot of people neglect this stage - I take care with the rip. I use a wonderful program called Max by Stephen Booth that can rip and convert in about 20 different file formats. More importantly, it uses cdparanoia error correction, which guarantees a bit-correct rip of the data (audio) on the CD without any analogue transfer (via a soundcard for example) giving an absolutely perfect cop of all the audio information (no skips, etc.). Max is also great for ripping old or damaged CDs as it is able - in most cases, and for a lot of 'lost causes' - to keep chugging away at scratched or oxidised data and finally get them ripped. It has come through for me in the face of ancient CDs more than a couple of times. Secondly, file quality is very important. Whenever I pay for downloads on (my personal favourtie) junodownload, I always get them in FLAC format. FLAC is an open-source compressed file format, but unlike mp3 or even m4a it is lossless, meaning that even with a smaller file size there is zero reduction in quality. FLAC will never be as small as mp3 or m4a files, so I'll only be using it when one or two tracks are posted. Itunes can't read FLAC (Apple prefers its proprietary format Apple Lossless), but Songbird or VLC can. Of course, not many people use those two programs to listen to music (I certainly don't). Once again, Max can convert files between 20 different formats, so I would advise using it for converting to your favourite file format. When several songs (a whole CD-single, for example) are posted, the tracks will be in AAC format (m4a) encoded at 256 kbps. This is the format used for files from the iTunes Store, and sound quality is comparable to (if not better than) a 320 kbps mp3 file but with a smaller file size. It's not quite audiophile, but it's getting there. 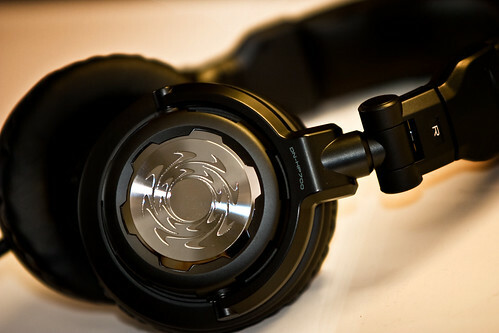 For most people and systems, the sound quality will be indistinguishable from a CD. mp3 will only be used in extreme cases, for example when posting re-edits of tracks I've dowloaded in that format from other blogs. I don't have anything against mp3 apart from the fact that it is now old and heavy compared to AAC (although some people say that the sound quality in AAC is less harsh compared to mp3). It's classicly the format used for best cross-platform compatability : not all portable audio devices can read AAC files, but more and more of them can. AAC is definitely a better format in my opinion. I also make an effort with ID tags. These are used to store the artist and track name data. Some blogs don't add this, and although the file name contains some information, playing the track on your iPod will show "track 2 - artist unknown" or something similar. Not very helpful. I always fill in this info, and add the sleeve scan if possible. 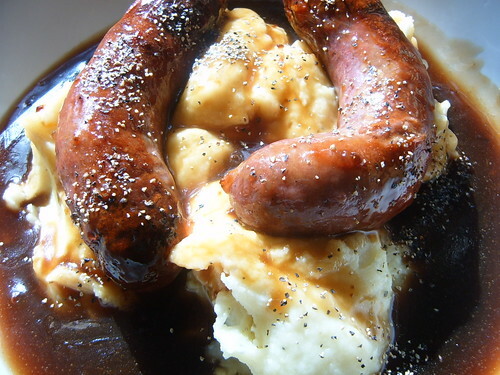 I couldn't find a photo of an ID tag, so here's a photo of bangers and mash by Annie Mole used under cc licence. Finally, for hosting I use mediafire. The service can be a bit kranky sometimes, but for a free service it's not half bad. I hate those sites like zshare that open two other windows with ads in them, make you wait 45 seconds, make you enter a captcha, etc. Sometimes the file names will be changed slightly to stop the tracks being found and deleted by 'rights owners' but frankly this has never happened to me: the stuff I'm posting is old, very specialised and no longer available. Also, posts will always mention where to buy a track if residual copies are still knocking around on amazon or ebay. Other sources for rare tracks are discogs, cdandlp and - occasionally - eil. Great post Jason! I will have to take a closer look at the software mentioned for future rips i do. iTunes can be temperamental sometimes.